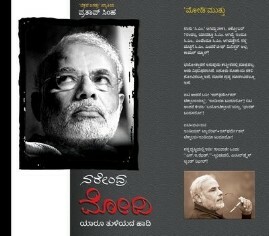 Pratap Simha > Books > ನರೇಂದ್ರ ಮೋದಿ; ಯಾರೂ ತುಳಿಯದ ಹಾದಿ. I need this book . You have discovered unique ideas about Naredrabhai Modiji.. Thanks for Educating about “Vibrant” Modiji..
All the best for your future projects…..